Motel Name Tags and Name Badges. Many private label motels may choose to get their brand noticed. At Quick Badge & Sign we have many smaller motel customers, after all who says anyone has to be big to look good! 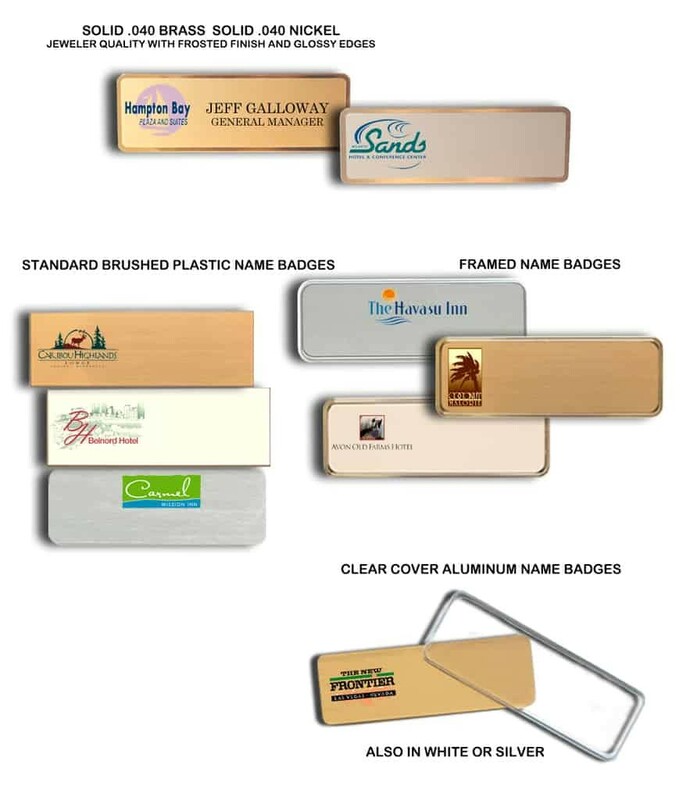 Upload your logo and we will get your name badge project starting by sending you some actual Emailed badge samples to look at. There is no obligation, we want satisfaction and have had a very loyal following since 1993.